Designed in the label's signature 'Romy' silhouette, Jimmy Choo's 'Tegan' pumps are set a 100mm stiletto heel and have a leg-lengthening pointed toe. This pair has been crafted in Italy from smooth white leather and punctuated with silver studs along the edges and oversized bow. Keep them in focus with cropped jeans. 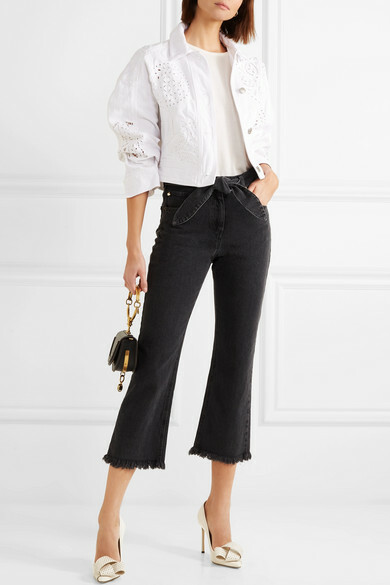 Shown here with: Nanushka Jeans, Isabel Marant Jacket, The Row T-shirt, Chloé Shoulder bag, Ellery Earrings.